In June I participated in the 25th International Symposium on Computer-Based Medical Systems (CBMS 2012) in Rome, Italy. It was my first time at a CBMS conference, and at times I got a bit lost in the more technically focused sessions, but I had a great time! The session I participated in was a special track on “Informatics challenges of patient centric health and social care”. My paper is entitled Supporting citizen-centered care for seniors – experiences from two Swedish research projects. 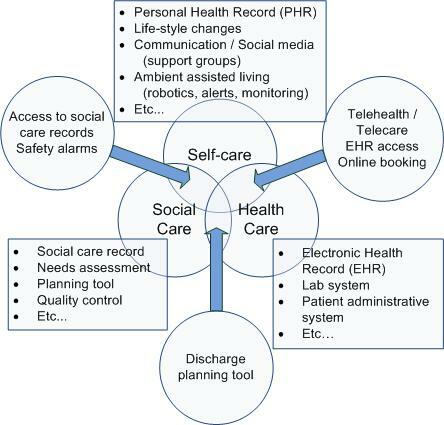 The paper draws on our experiences from two projects; Old@Home and VIP-PA. I’m not gonna give you a full summary of the paper, but the results of our analysis indicate the importance of addressing the intersections of health-, social- and self-care when developing ICT solutions to support long-term care in an aging society. This entry was posted in Uncategorized and tagged aging society, Continuity of care, Social care informatics. Bookmark the permalink.